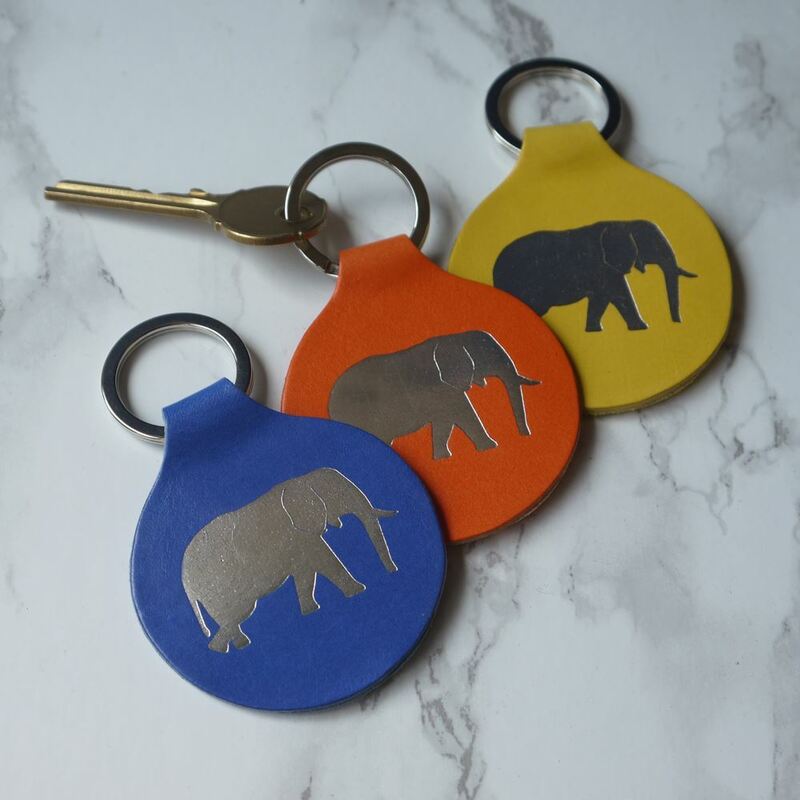 Our elephant themed leather keyring is a must have to help you keep track of your keys! 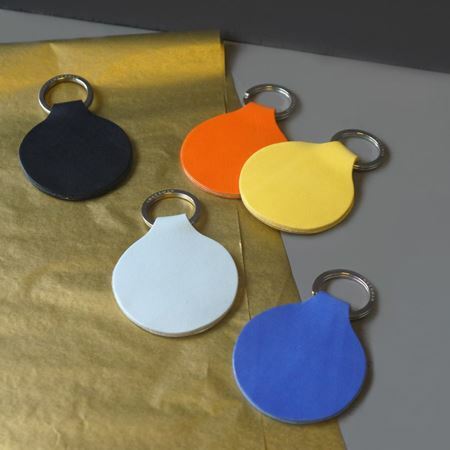 Bright colours that always stand out at the bottom of your handbag! Leather measures 5.5 cm in diameter.